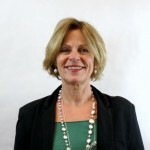 Fosca Giannotti (female) is Research Director at ISTI-CNR, Pisa. She serves as general chair (2012-2015) of the Steering Committee of the European Association for Machine Learning and Knowledge Discovery. She has spent more than three years visiting various Research Institutions in US and EU. She has been involved in many European research projects since 1990, and coordinated the GeoPKDD FP6 FET-Open project awarded in 2010 as one of the top results achieved within the FET-Open program and presented at the European parliament in Strasbourg. She is the author of more than 200 publications and served in the scientific committee of the main conferences in the area of Databases and Data Mining. She chaired ECML/PKDD 2004, the European Conf. on Machine Learning and Knowledge Discovery in Data Bases, and ICDM 2008, the IEEE Int. Conf. on Data Mining. Her current research interests include spatio-temporal data mining, privacy preserving data mining, social network analysis and data mining query languages.